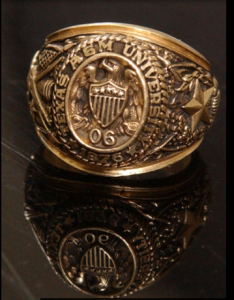 One of the proudest moments for an Aggie is earning his/her Aggie Ring. stories surrounding the ring. Below is one such special story. Ring ceremonies are held in Galveston at the Mary Moody Center – Flag Room or students may go to CStat and get their ring there. There is a breakfast, Yell Leaders are there and each student goes up to get a ring Box when name is called. There are photo opportunities. Please see the Galveston site for times. The Galveston Aggie Moms are the gals in the know for cakes and cookies and parties. Business Hours: Monday-Friday from 8 a.m. – 5 p.m.
Visit Belinda Webber or Shelly Fordyce at the Office of Student Activities, Suite 101, Seibel Student Services Building, Building #3030. Ring finishes also available at this campus. everyone can afford a ring – buying one after graduation is okay. This is not a “have to” in life. Pick the date! There are usually two in the fall – one upcoming on September 22nd, November 17th and one in April 13th during Parent’s Weekend. The site will tell you when ring day ordering is open. Reserve a place to stay: a hotel, AirBnB, or HomeAway in July or August as soon as you know the date your student will be eligible if you want to stay over and make a day and night of it. Get a Ring Ticket! One week before ring day, your Aggie will choose a time for picking up “The Ring”. This opens at 7AM – so if you wish to plan, go to the web site and look at times. First group is 9:45 AM and the last is 7:00. Some students are busy and they go pick up their ring during scheduled office hours. Other students have their family, extended family and or friends attend the event. Check the web site for parking directions and shuttle directions. If it is not Parent’s Weekend, you can probably find parking in Cain or Koldus. The schedule runs like clockwork. If your entry time says 9:45, you will start moving into the Clayton Williams building at 9:45. If you have elderly with you or anyone with a disability attending with you – you do not have to be in line an hour or even thirty minutes ahead of time. You can get in line 15-20 minutes before and as long as you have your ticket you are going to get in at your time. What do we do once in the building? your ring and take a few pictures. My student has the ring-What now? You can visit the white tent. You can get water and soft drinks. There is usually free Slovaks sausage. You can have your ring polished, purchase a Ring Day t-shirt and purchase a signed print by Benjamin Knox. They do have large fans if you need to cool off! Take photos – but not by the large ring in front of the building. These photos are best taken the day after or later in the year. They keep the ring blocked off. How Do I celebrate? Do I celebrate? Steak House, and Veritas. This list goes on and on- the most important thing is make reservations early. If you cannot get reservations, consider take out back at your students place or a park- Aggies are all about the Tailgate! Some parents go home after and some have a party to celebrate the day. Parties can be BBQs, you can serve platters from Laynes and play games. Make it easy! Ring Dunk – What is it and do parents attend? just because you don’t get it or like it. And yes – most students can’t hold that much beer. the day. There is no right or wrong way to look at this. ceremony in which Aggies students turn their Rings around to face the world proudly, just as the Aggie graduate is now ready to face the world. you can return to the Association and they will try to find the owner.